Plug and play, easy to enjoy games. 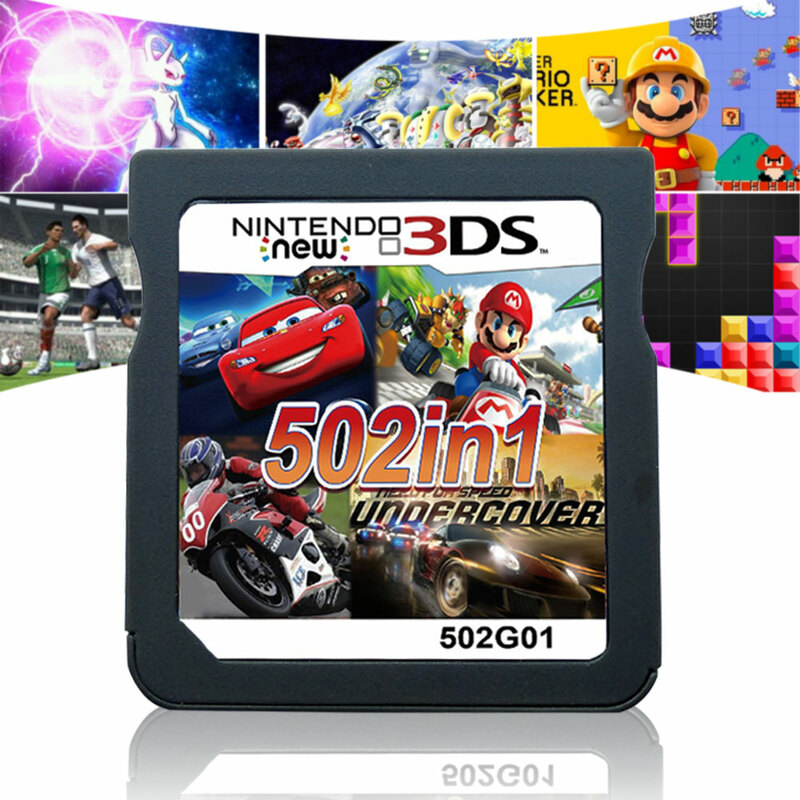 This sale is for a 502 in 1 game cartridge for the Nintendo ds and 3ds. This game cartridge will keep you busy for a very long time with over 500 amazing preloaded games including Pokémon games. These games all from company,have been tested carefully and found to work perfectly. Every Game Card Will Be Packed In A Fitted Plastic Protective Case. if you place an order during the weekend or holiday period then we will ship the item on the next working day. Any questions, please contact with us,we will help you as soon as possible. 2. If product is defective or damage upon arrival, or wrong product shipped, please contact us immediately. Returns accepted within 30 days of delivery date and item must be in original new condition, not worn or altered in any way with attached tags & wrap. Otherwise deal is final. We appreciate your Postive Feedback, and will do the same in return.